Supporters of LCVFSF have been generous with donations of time and money. Now there’s another way. If you own a car, motorcycle, ATV or other motorized vehicle, you can donate it to our Foundation. We get the funds. You get whatever tax deduction your donation earns. In partnership with Auto Parts City of Gurnee, we are happy to offer a new and easy way to make a donation to LCVFSF to help the Veterans of Lake, McHenry and Southern Kenosha counties. on Sunday, 10 March 2019. On Feb. 8, thousands of mourners filled the United States Naval Academy’s chapel in Annapolis, Md., to pay their respects to Chief Petty Officer Shannon Kent, 35, who was killed by a suicide bomber at a restaurant in Manbij, Syria, last month, along with three other Americans. Kent was stationed at Fort Meade, Md., where she was assigned to Cryptologic Warfare Activity 66, a Navy unit that supports the National Security Agency and military special operations forces. She was supporting the latter at the time of her death. During the ceremony, a bugler played taps. The Navy hymn “Eternal Father” rang from the pipe organ. But the memorial service departed from most of those that the Academy chapel has hosted in the past — in more ways than one. My name is Mike Maguire, and it is my honor and pleasure to be named the new Service Platoon leader for the Lake County Veterans and Family Services Foundation (LCVFSF). Let me state up front that I am not a Veteran, but I am a life long American citizen, and I have the greatest respect and admiration for all our Veterans. I believe that we as citizens, and the beneficiaries of the service and sacrifice that these brave men and women, and their families, have willingly given for our freedom and liberty, must never forget them. LCVFSF is run by Veterans for Veterans, but they also firmly believe that a partnership between civilians, and Veterans is vital to their primary mission of providing assistance to ALL Veterans, in areas ranging from employment, health and family issues, housing, any many others. I know by the fact that you have all signed up to participate in this service that you all feel the same way. on Sunday, 24 March 2019. Do you have a condition that was directly caused by or has gotten worse because of your service-connected condition? If so, you can file a secondary claim for disability compensation for that condition. If you’re planning to file a secondary claim, make sure you file it as a Decision Ready Claim (DRC). Filing as a DRC means you can get a decision on your claim in 30 days or less. 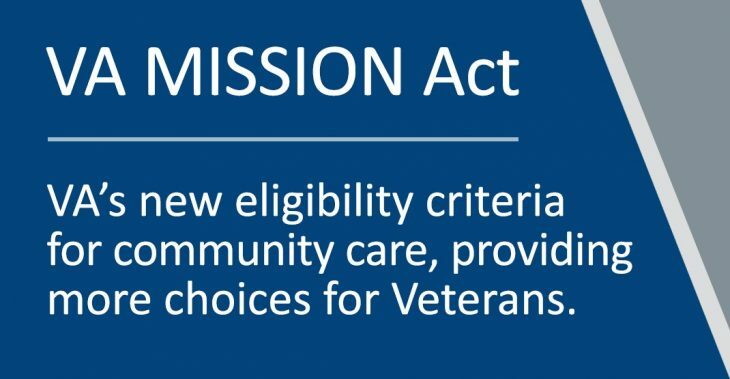 Work with the Veterans Assistance Commission in Waukegan or with another accredited Veterans Service Organization (VSO) to determine if the DRC Program is right for you and your secondary claim. They can then help you gather and submit all relevant and required evidence so your claim is ready for us to make a decision when you submit it.